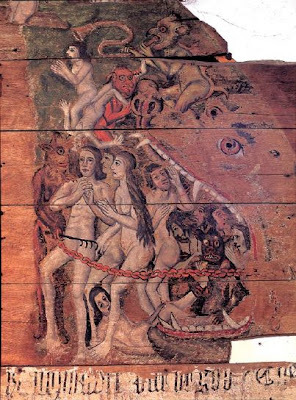 "The History of the Virgin and Christ" by the Delli brothers, dated 1440-45. 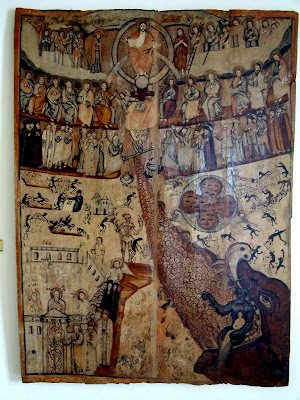 Work located at the old cathedral of Salamanca, Spain. 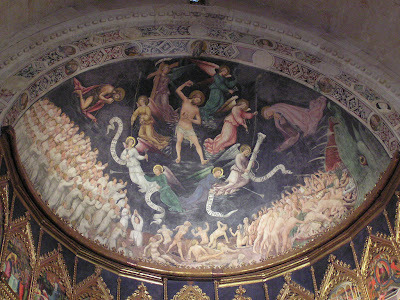 Last Judgement fresco, see the full painting here. 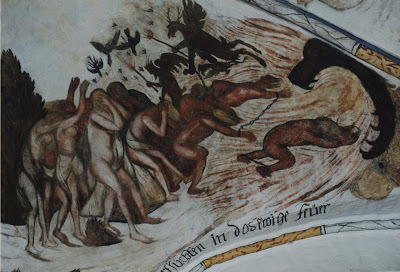 15th century Doom painting South Leigh, Oxfordshire. View more of the painting here. 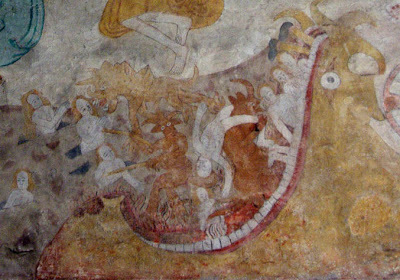 Part of the 15th century Doom painting at Combe, Oxfordshire. 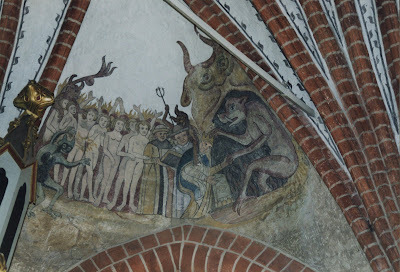 See more of the painting here. 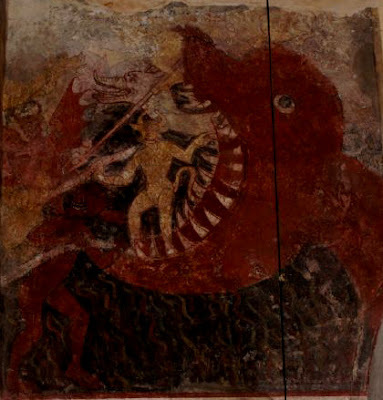 Loose icon in Gelati Monastery. 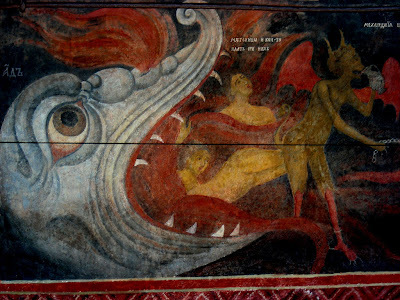 Castle of Zvolen, 17th century. 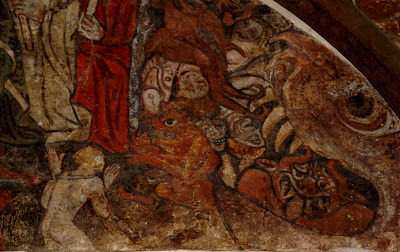 The Doom, St Peter's Church, Wenhaston, Suffolk, see the full doom painting here.